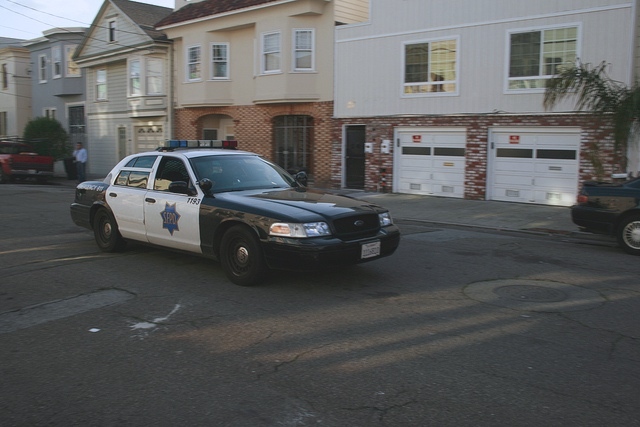 On a stretch of Folsom Street where homes now sell for millions of dollars, police shot a man allegedly attempting to steal a bike on Thursday night. On Sunday morning just three days later, young, well-dressed 20-somethings strolled down the block between 23rd and 24th as they made their way to friends’ barbecues. “I sort of expect that kind of thing to happen,” said Alex Mastrangelo, a 30-year-old resident of the block who works as a contractor with Google. One of Mastrangelo’s female roommate was recently assaulted a few blocks away from their home, and he said that he finds those incidents more alarming but understands the reality of where he lives. “It’s a city. This stuff happens,” he continued. A lot of his neighbors agreed. “My impression is that this happens all over America,” said Ros De Vries, who moved to the Mission from Australia three and a half years ago with her partner to write for a tech company. “I’ve never had any doubt that I live in a city and in a real neighborhood,” said Lilly, a nanny, who declined to give her last name. She was walking down the street with her husband and a friend who also lives on the street, both of whom program computers for a living. Lilly was more troubled by the police’s reaction to the alleged crime. “If it was my husband, I don’t think they would have reacted like that because he’s white, he’s tall, and he looks like tech,” she continued. Chris and Dan Vargas are two brothers who came to San Francisco from Mexico with their parents when they were young children. Now, they are 20 and 16 years old respectively and close in age to the man who was shot and killed by police yards away from the stoop where they were hanging out on Sunday morning. They started discussing the various rumors that they had heard since the incident. “The Mission is getting more and more hectic. There have been a lot of killings lately,” said Chris Vargas. A college football player was visiting his father in 2013 and was shot and killed right outside their front door on 25th and Bryant. “When stuff like this goes down, it scares me because it could happen to me. It could happen to anyone,” Chris Vargas continued, adding that he doesn’t stay out late anymore for fear of what could happen to him if he was in the wrong place at the wrong time. On Friday, just four blocks west of Thursday’s incident, there was a bomb scare at 23rd and Bartlett Streets. On Sunday, an open house near the corner had the intersection buzzing with young families and real-estate agents. “It’s kind of part of the Mission,” said Pete, an investment banker who declined to give his last name. He had just left the open house near the corner with his wife and baby. “I’ve lived here for a while, and I’m used to it,” he continued. Many other residents who were out and about in the warm afternoon sunshine echoed these sentiments. “There’s something happening every other month on this corner. Fires, shootings…,” said Beatriz Monteiro, who lives closeby with her husband. “It doesn’t give me pause at all. It only concerns you if you are a gang member,” said Rob Villanueva, a graphic designer and photographer who lives on Valencia.